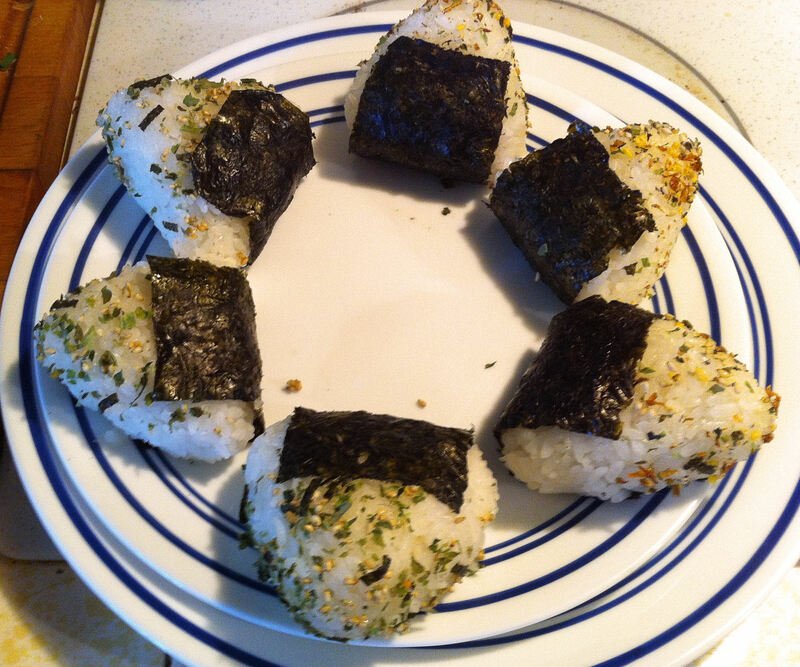 Onigiri are the Japanese equivalent of a PB&J sandwich, something to take for a school lunch or on a picnic. One of Eilene’s Japanese class friends taught her how to make these a couple of years ago. 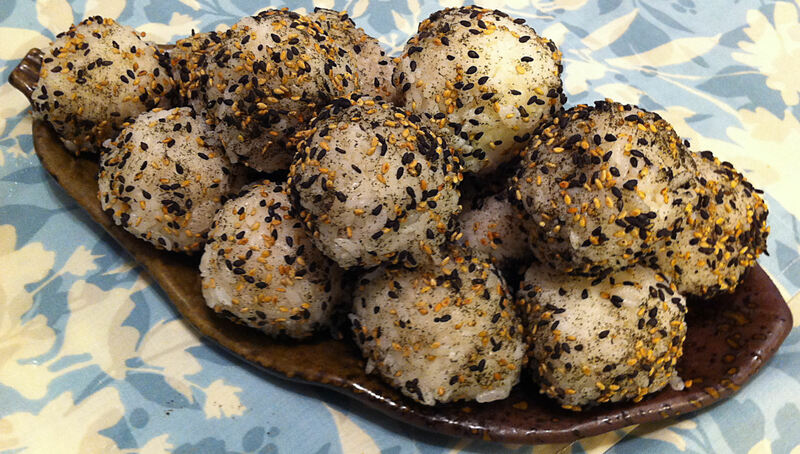 While they are commonly formed into triangles and may have savory or salty filling, they may also be formed into simple round balls.